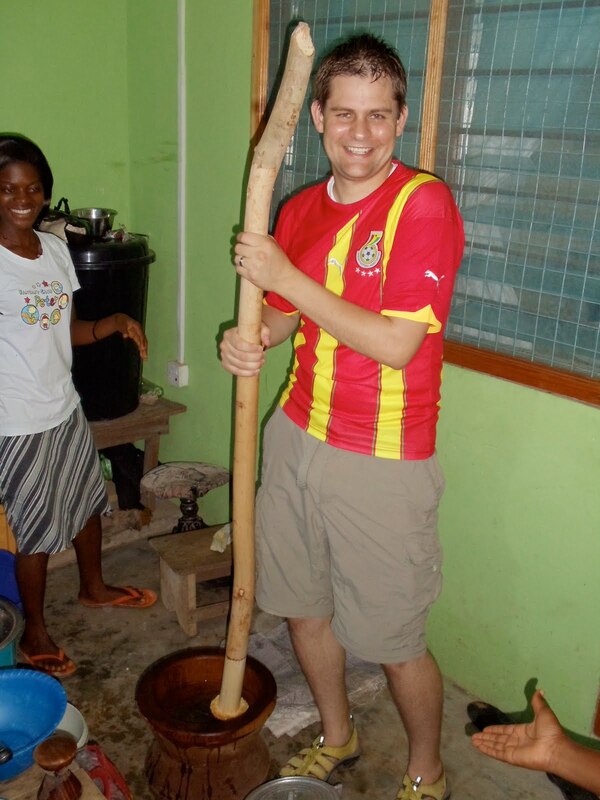 7 Weeks in Ghana: Day 44 - Worldcup Mayhem, Fufu, and "Let the music flow"
Day 44 - Worldcup Mayhem, Fufu, and "Let the music flow"
So world cup mayhem continues here in Ghana. This afternoon Andrew and I went to the Capitol View hotel to watch the US vs. Algeria came. As previously mentioned, I have never been much of a soccer fan, but have really gotten into to it down here. As crazy as it sounds, it can be fun to watch people run around for 90 minutes and try to kick a ball into a net. For those of you who saw the US game today, thank goodness for stoppage time at the end of the game. The US had so many chances to score, but just couldn't seem to find the back of the net. When Donovan and Dempsey made the last run down the field and found the back of the net, it was awesome!!! As we drove home, we came across a sign that I think explains the last drive and goal by the US. Ghana also had a soccer match this evening against Germany. We were invited over to one of our coworkers house, Nat, to watch the game. When we got over there, they were just making fufu. Andrew and I both had thought it would be interesting to pound out the cassava plant, so we took a turn at it. The cassava is boiled and then it it put in this wooden bowl and beaten/smashed for about 30 minutes until it becomes a glob. It is then added to soup and eaten. We had a great time at Nat's house watching the game. 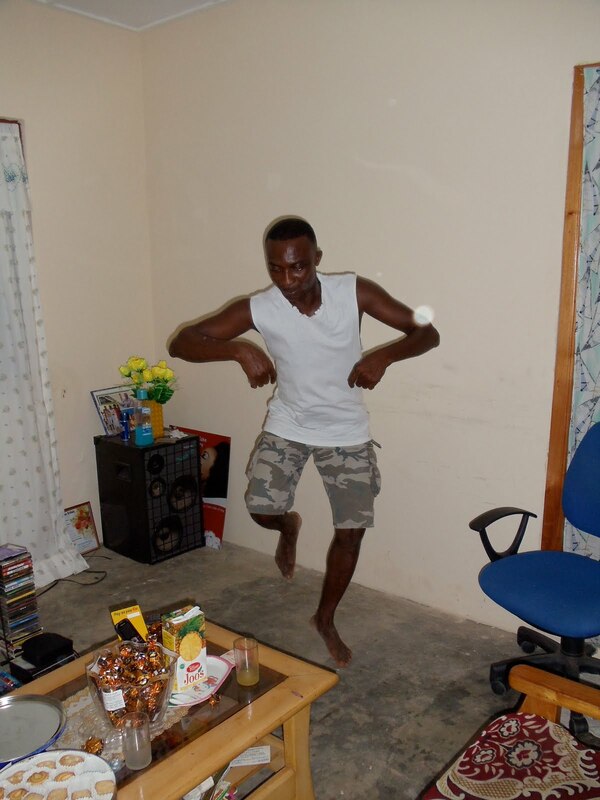 Even though Ghana last to Germany, they were still excited because they made it on to the second round. Interestingly enough, their next game will be against the US on saturday!!!! As with any party with Nat, the night wouldn't be complete without some dancing. A while back when we had a party at Whits house, Nat coined the phrase "Let the music flow!!!" It has been a running joke between he and I since that time. Above is Nat "letting the music flow"
How much weight will I gain or lose during my time in Ghana?